Is there such a thing as a miniature German Shepherd? If your GSD varies widely from the breed standard, she is not a pure bred German Shepherd. Unless she suffers dwarfism, a small German Shepherd is likely a mixed breed. This is not a miniature German Shepherd, but a condition caused by a genetic defect. Pituitary dwarfism can cause several health problems. And affected dogs will need lifelong veterinarian care. A dwarf shepherd can usually be identified at birth. Many dwarves end up nearly bald with age. None will grow larger than 30 pounds. Appearance aside, their temperament is not affected. With care and attention, they can live long and happy lives. 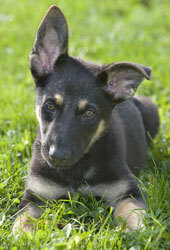 GSD's that vary widely from the above are likely to be a German Shepherd mix. If you are concerned with the growth of your dog, you can find a German Shepherd growth chart and read stories written by other owners. A very high energy working dog, the German Shepherd Malinois mix is fast becoming a favorite for use in law enforcement. 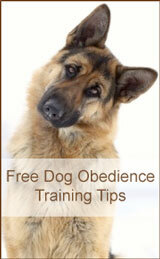 A workaholic herding dog, the German Shepherd Collie mix tends to be highly intelligent and easy to train. The shepherd husky mix has a strong work ethic and will likely be very vocal. A lab shepherd mix may be easier to train than a pure GSD and will likely shed a lot less. A German Shepherd Standard Poodle Hybrid will likely be extremely smart and a low to no shedder. The wolf dog hybrid is very intelligent, but skittish by nature. Other hybrids are the Alaskan Shepalute, King Shepherd and Shiloh Shepherd.